I am still questioning if building this or any race car is equally insane as buying the first car, especially as the costs build up, even for a relatively low cost build like this! It continues the theam of the team name. This car is based on a shortened Discovery 1 chassis and running gear with the engine and gear box moved backwards in the chassis. 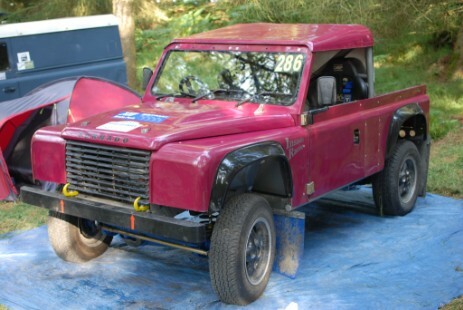 I had decided to go down this route as I had a very good chassis from a scrap car I purchased for spares, it meant I could easily recover a lot of parts from the first car and it meant I would be using many standard Land Rover parts that are relatively cheap and easy to source. 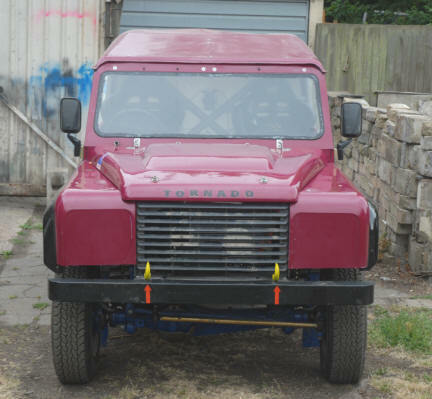 The roll-over protection and body panels are supplied by Tornado motor sport. Insaity Too in the new 2018 colours at the Welsh Hill Rally.